I have resigned as Principal Secretary to The Right Honourable Justin Trudeau, PC, MP, Prime Minister of Canada. He has accepted my resignation. Recently, anonymous sources have alleged that I pressured the former Attorney General, The Honourable Jody Wilson-Raybould, to assist SNC-Lavalin with being considered for a deferred prosecution agreement. I categorically deny the accusation that I or anyone else in his office pressured Ms. Wilson-Raybould. We honoured the unique role of the Attorney General. At all times, I and those around me acted with integrity and a singular focus on the best interests of all Canadians. The Prime Minister of Canada’s Office is much larger and more important than any of its staff. I have served it to the best of my abilities, and I have at all times given the Prime Minister free and unfettered advice. I have served the public interest, not the interests of any individual or any narrow private interest of any kind, at any time. Life is full of uncertainties, but I am absolutely certain of that. Any accusation that I or the staff put pressure on the Attorney General is simply not true. Canadians are rightly proud of their public institutions. They should be, because they work. But the fact is that this accusation exists. It cannot and should not take one moment away from the vital work the Prime Minister and his office is doing for all Canadians. My reputation is my responsibility and that is for me to defend. It is in the best interests of the office and its important work for me to step away. I want to say a word about my relationship with Ms. Wilson-Raybould. I encouraged her to run for the Liberal Party of Canada, and worked hard to support her as a candidate and then Cabinet Minister. From my perspective, our relationship has always been defined by mutual respect, candour and an honest desire to work together. On a personal note, I wish to thank the Prime Minister for the opportunity to work with him, his Cabinet and the Liberal Caucus. They are great people who are dedicated to improving their country. I also want to thank my colleague, Katie Telford. The last seven years simply do not happen without her. Nobody knows that more than I do. And to my colleagues in the PMO, it has been the highest honour of my professional life to have worked together with all of you on behalf of all Canadians. I wish them all well, and they have my full support. I also need to say this (and I know it’s a non sequitur). Our kids and grandkids will judge us on one issue above all others. That issue is climate change. I hope the response to it becomes the collective, non-partisan, urgent effort that science clearly says is required. I hope that happens soon. Every hard problem requires a thoughtful, collaborative solution from the country it affects. Those solutions in turn depend on good, hard-working people who devote their time and energy to public service. Canada has those people in abundance. 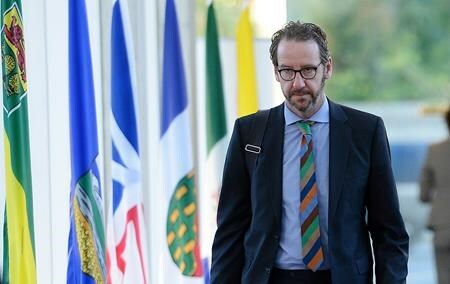 While it is fashionable sometimes in some quarters to denigrate politicians and public servants, my experience is that the women and men who serve Canadians in elected office and the professional public service are honest, decent, hard-working people who put service of country beyond self every day. Life is many days, and there are hard days in public life, but there are no bad ones. I hope I did the job in a way that would have made my parents proud and will make my children consider public service. OTTAWA — The federal government is warning Canadians in Sri Lanka to limit their movements and avoid affected areas after a series of bomb blasts killed at least 207 people and injured hundreds more. Global Affairs Canada has issued a statement warning that the situation in the island nation remains “volatile,” and more attacks are possible. The government has also warned that the High Commission of Canada to Sri Lanka in the capital Colombo will be closed on Monday due to the security situation. Sri Lanka’s government has imposed a nationwide overnight curfew and blocked access to social media in the wake of the attacks at churches, hotels and a guesthouse on Easter Sunday. The country’s foreign minister says at least 27 foreigners were among those killed in the co-ordinated attacks, but it’s not clear if any Canadians are among the victims. The Sri Lankan defence minister said seven suspects linked to the blasts have been arrested. MONTREAL — Quebec Premier Francois Legault will visit flood-damaged regions north of Montreal today, as warm temperatures and rising water levels threaten to worsen the spring flooding already wreaking havoc across a wide region. Legault will visit a community centre and flooded homes on an island in the Laval region, where Canadian Forces troops are expected to join the efforts to limit the damage. The city says it could receive another 20 to 40 millimetres of rain in the coming days. Many people across Quebec and New Brunswick have been filling sandbags in an effort to protect their homes. Officials say water levels are expected to rise in many regions due to warming temperatures that contribute to snowmelt and ice movement. About 200 soldiers started filling sandbags and carrying out evacuations in Quebec’s Outaouais and Mauricie regions overnight, with an additional 400 troops standing ready to deploy there and in Laval on Sunday. Urgence Quebec says that as of Sunday morning, 980 residences across the province had been flooded and more than 1,200 people had left their homes. Several major floods have been identified as threatening thousands of Quebecers, and so far one death has been blamed on the high water. Police say 72-year-old Louise Seguin Lortie died Saturday morning after driving her car into a sinkhole caused by flooding in the Pontiac area, about 30 kilometres northwest of Ottawa. Some of the worst flooding has been in the Beauce region south of Quebec City, where 883 homes were swamped and 765 people evacuated, up from 94 on Saturday. Quebec’s public safety minister has urged citizens in affected areas to avoid unnecessary risks and to leave their homes if necessary. Meanwhile, about 120 Canadian soldiers are being deployed across western New Brunswick to help residents threatened by rising floodwaters. Fifteen communities in that province have been warned to remain on high alert.